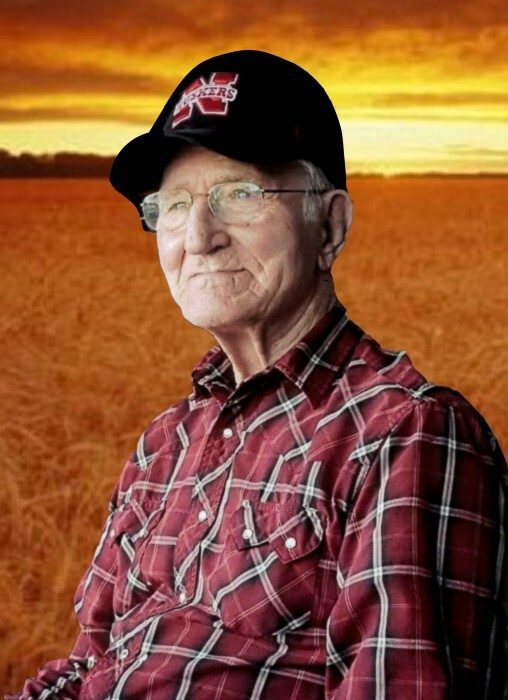 Wayne Albert Stewart, age 91, of McCook, NE passed away Saturday, January 19, 2019 at Community Hospital in McCook. Wayne was born December 15, 1927 in Culbertson, NE to parents Roy and Hazel (Bymer) Stewart. Wayne was one of twelve siblings who grew up on the family farm north of Culbertson. Wayne attended school in Culbertson, graduating with the Class of 1945. On June 20, 1950, Wayne married the love of his life, Lois Cornelia (Thomas) Stewart in Indianola, NE. The couple was blessed with seven children. The family made their home on the family farm and later moved into McCook. In addition to lifelong farming, Wayne was a mechanic for the heavy equipment used to construct the Red Willow and Trenton Dams. He was employed by the State of Nebraska Department of Roads where he worked as a field mechanic in the Maintenance Division. Wayne worked for the City of McCook Fire Department as a fireman and EMT, from 1968 to 1983 and was promoted to Captain. He served in the mid 1980’s on the McCook Public Power Board of Directors and was also a Red Willow County Commissioner from 1991 to 1994. Wayne was a family man who enjoyed spending time with his loved ones and watching Nebraska Football. Wayne was a member of St. Patrick’s Catholic Church, the Knights of Columbus and the Elks Lodge. Wayne was preceded in death by his parents; his wife, Lois Stewart; daughter, Julia Golter; five brothers; and four sisters. Those left to celebrate his life include his three sons, Thomas (Karen) Stewart, James (Lana) Stewart and Wayne (Jody) Stewart, all of McCook; three daughters, Kathleen (Lynn) Swanson of Wallace, NE, Ann (Blaine) Budke and Janelle (Charley) Carter both of McCook; two sisters, Lorna Trupp and Edna VanFleet, both of McCook; twenty two grandchildren; twenty four great grandchildren; and host of extended family members and lifelong friends.